The reason to making this guide is that i feel like some guides miss out some things so i would like to organise all the best tips into one thread. That being said please read Saintone’s Swordmage Guide as this holds a lot of important information. Ravec’s Guide can also be helpful but i would advise only using this up to level 59. And as well there are more guides out there on the forums which you should constantly be checking in on if you want to do the best that you can! 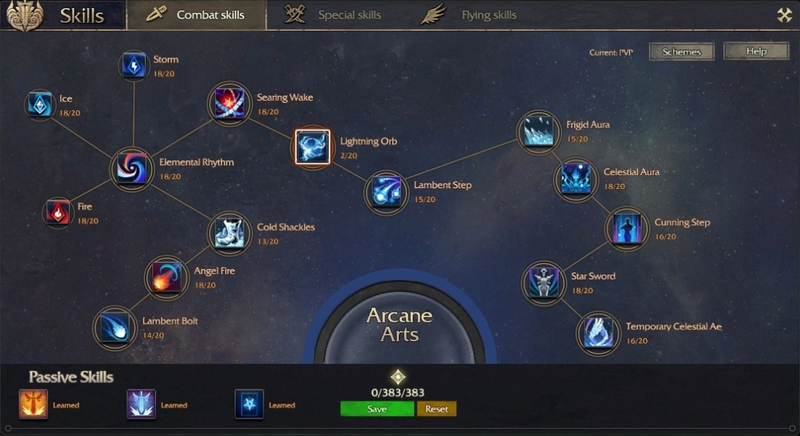 Also, you should be trying to read Chinas Swordmage Forumns by translating the information if you can to try to get pointers for the level 79 content and tips in general. Okay so first and foremost in order to increase your Strength and defense i advise you to read the thread i made on how to increase your MIGHT as this will be the biggest factor on how much DPS you will be doing and how easy/hard it will be for others in doing damage to you. The higher the might the better. FYI you can check your might in Sulan if you are in the top rankings, otherwise you should ask a friend to hover over your name and it will show it there. This can be played around a little but preferably you want higher vigor for survivability and the spirit gives you extra defense/health. You can go Higher Vigor/Spirit if you can’t dodge most incoming attacks, also i will update this for 79 content as i believe we will be needing higher vigor/spirit come the new content. Cold Shackles level 13: This is the amount needed to always root the enemy in place. Lambent Step level 15: Needed to unlock the ability to instant cast and become Mercurial (non cc’able) for 1 second after cast. Frigid Aura level 15: Needed to unlock Deep Freeze which allows you to damage the enemies without them becoming unfrozen. Cunning Step Level 15: Wanted this to unlock the mercurial ability after casting, although I’ve yet to get the book. The rest of them are leveled as high as possible to optimize the most DPS. Also, level 16 Celestial Aegis/level 18 Aura and lvl 16 Cunning Step gives you the CD needed and extra damage boost to increase your defence! However, you should be aiming for 60 cultivation points as much as you can. I need to take off Celestial Aegis points and implement it into StarSword/Angel Fire and Lambent bolt, but need to buy the cashshop item yet and I currently can’t afford. Cunning Step should be reduced in order to max out lightning orb and cold shackles and lambent bolt more. Celestial Aura should be ranked 15+ to get 9% damage on monsters once the book is unlocked. The rest is leveled as high as possible to optimize maximum DPS. Here is how i distribute each point with 60 cultivation points, suited towards maximizing DPS with the rotation. PVE should predominantly be done in storm stance, this is to maximize DPS over a given period of time, if the boss is moving too much then temporarily switch to fire, but try to stay in Storm and be smart with skills. to get the most DPS, Save your Cosmic Void for the start of a rotation or when you’re about to use Nimbus Reign/Elemental Fury. will help in certain situations where death is inevitable. PVP is situational, however there are some rotations you should use to try to kill people instantly or at least deal mass damage to them. The first one is the most basic with each stage being better then the previous. The one you use is situational depending on if the target is moving and if you think you can kill the target with less damage. I would advise you to make use of your stamina by attempting to dodge enemy skillshots and to try to use Frigid Aura on the enemy to enable Deep Freeze. can one shot people but it needs to be Dao’d out with higher % damage, this can cost a lot. 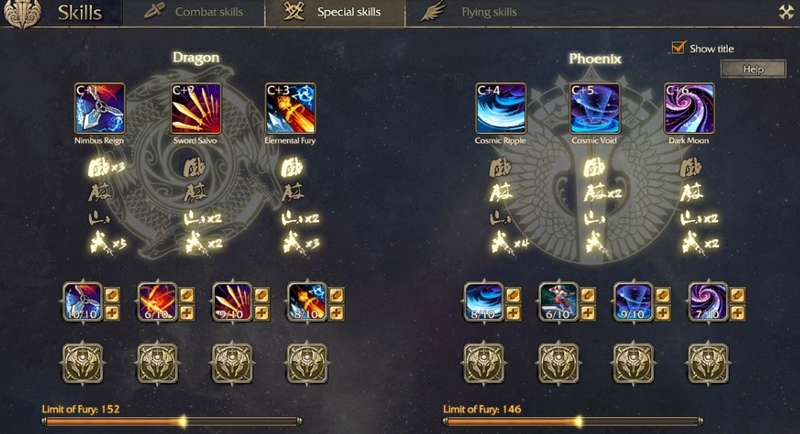 is a very useful and tactical skill, use your basic attacks to generate phoenix to use this ASAP. Here is a link you a youtube video of China Swordmage 79 in Bg’s showing you the rotations and other stuff – very helpful video! The higher the level of the skills the more the might and the more damage they do. Also the higher the level the higher the limit of fury. Dagger Flurry: Browns/green/red – This Skill is useful for farming due to its lifesteal. Sword Salvo: Full reds/Brown again for PVP you may want to switch the browns for Greens to reduce healing. Dark Moon: Red/Brown – when these become too expensive unlock Greens. Obviously the better the quality the higher the bonuses – try to craft these yourself. My Gear is not the best but it should give you an idea of what you should be aiming for. These are both blueprint crafted, try to find double Crit Increment rolls, if not then substitute the stats best you can. Double crit Boots if you can find | Go for Normal crafted wep if you don’t have money – also exalts are easier to switch – get crit/crit inc exalts. For the weapon/offhand/rings/necklace go for Crit/Crit Increment/magic defense break and special skill power venerations. For Earrings/armour go for the best gold venerations you can get, the more golds the higher the might. When you can afford it you should always try to upgrade the crystal from 4’s to 5’s to 6’s if you can, this will still give you the best bonuses while maintaining the best DPS output for Swordmage.